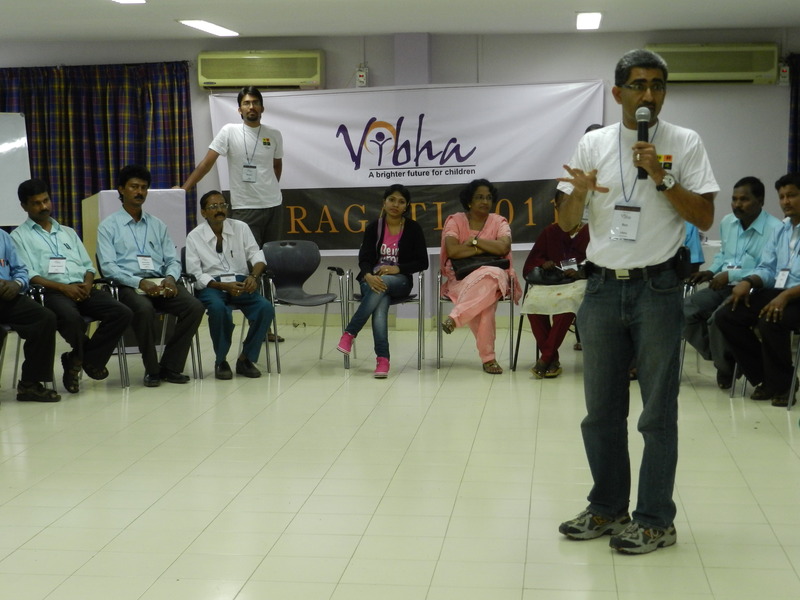 Friday, 30th Sep 2011 – “This is a stage for you to speak, and everyone else to listen and learn” stated Ron Victor (President, Vibha India), as he welcomed over 50 participants from across the country for the second edition of Vibha’s project wide conference – Pragati. Representatives from over 25 citizen sector organizations (CSOs) gathered here at YMCA house, Pune to be a part of knowledge dispersive platform Vibha intends to create by providing a platform to connect, share and leverage. “We learn from others’ experiences, share our strengths and weaknesses, overcome our problems and grow together”, he added. It was impressive to see participants belonging to organizations from diverse backgrounds: both in terms of organizational objectives and geography gather under the same roof. The representatives carry with them years of experience in the fields of child education, vocational training for adolescents, rehabilitation of disabled children, managing shelter homes, women and child development and the list goes on. While the tight schedule for the weekend is believed to help partner organizations SHARE and LEVERAGE, day zero focused on the CONNECT part of Pragati’s vision. To make the connection, we needed them to drop their guards and engage in lively discussions with each other. Although from a diverse cultural backgrounds, it was interesting to see the energy levels in participants who mingled easily with others. It’s noteworthy that this gathering of development workers included participants of all ages – from 25 to 60 years of age. It represents an apt mix of experience and passion this group brings into the event. The participants started pouring in at 6.30 pm in the conference room for the introductory session. 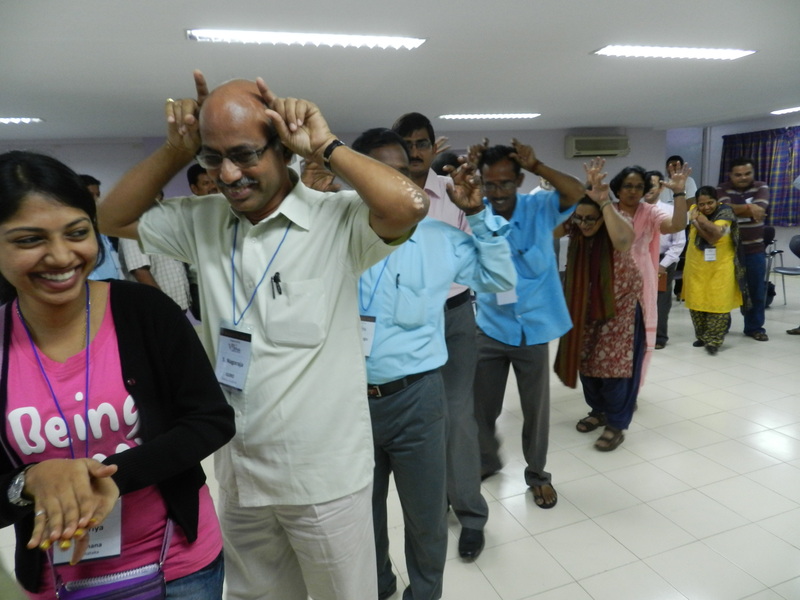 To warm the participants up for the conference, Vibha volunteers Mangal and Mukesh took the centre stage. What followed made these professionals come out of their comfort zones by dropping their inhibitions. It started with Mangal asking all the participants to do some light exercises and then jog around the room in circles shouting humorous slogans in various vernacular languages. Initially hesitant, the participants soon got going. They were later handed over a list of questions, the answer to which could only be obtained by asking probing questions to one another. This gave them ample opportunity to introduce themselves to one another and set the dice rolling. To add a twist of creativity, they were asked to play games involving mimicking weird animals and the very famous bing bang bong game. The participants enjoyed the session so much so that they forgot all about dinner. The ice breaking session, in true sense laid the foundation for the next three days. This was evident during the dinner where in all participants were found engrossed in deep discussion. please contact me on akshat.nitj@gmail.com along with your city and contacts. i’ll share the details. Ajanta – please sign up to volunteer on http://www.vibha.org.